Africa is quickly adapting to ePublishing as a new avenue to improve learning in schools. From Kenya, where the initiative to give every primary school student a laptop is ongoing, to Rwanda, where the system has taken off well, eLearning is becoming a real African buzz word. Snapplify is a South African company that is enabling publishers, both academic and otherwise, to get their publications on readers such as smartphones and tablets. The company has seen over 200 publishers embracing its technology and already accumulated over one million eBook downloads across the globe. Wesley Lynch who is the chief executive officer and founder of Snapplify tells us how the company has pulled through the last three years of existence and what the market is like for the ePublishing sector in Africa now and in the future. We launched Snapplify three years ago (this October). The idea was to take what were then relatively new – tablets - and use them to take books to the hands of more people. We concentrate more on tablets and mobiles than eReaders. We have always had a focus on eBooks but we are not just about eBooks. We do loads of magazines and comics. We are in the business of distributing content. Obviously eBooks are a popular form of content. We lean more on books, but we do not consider ourselves a book business. Essentially we take care of all the technical aspects that you would need in order to get the book in the hands of the reader. 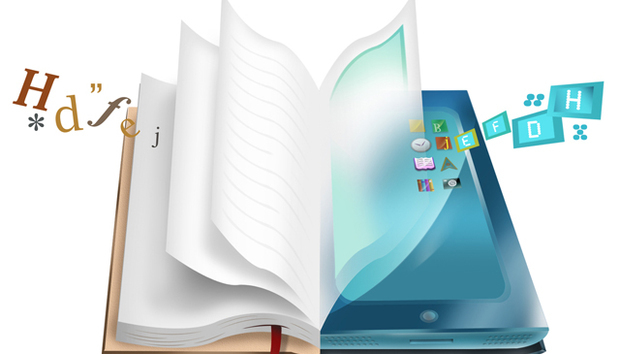 So we provide the technology such as the readers on all the different platforms depending on the various mobile operating systems. We take care of all the encryption for publishers. We also collect revenue for the publishers and do all the multi-currency conversions and provide appropriate payment methods. So it’s not just about “let’s load the content up and send it around”, we take care of the financial services. We are an aggregator and retailer of content. Part of that is getting academic books into the hands of learners. [To achieve this] we provide the reading and commerce platform to the schools - that includes books from major publishers such as Oxford, Pearson and Cambridge. We have their distribution rights and we aggregate all their content for the region. An institution can come to us and we can give it all the infrastructure and content it requires to satisfy the needs of its students. There are so many eReaders and eLearner solutions, what sets you apart from what is in the market? We have got certain features that are not necessarily isolated and unique to Africa or emerging markets [but clearly help]. We definitely work much better than our counterparts in Europe or America in an environment where there are shared tablets. We have Snappbox which is like a set top box for books and we can deploy these in schools or really anywhere. What it does is download books from the cloud and then any device or reader that is in the same environment as the Snappbox can detect it. Then [the reader] can download books from there. This helps the book to be downloaded once and then distributed locally. We have done book distribution in rural areas where the internet connectivity is poor. That in itself has some challenges because you have a lot of encryption and tracking and things like that. But it means what we are doing is more viable from an infrastructure point of view in places where internet connectivity, or even electricity, is a challenge. We already have some businesses in Nigeria, South Africa and Kenya. We certainly have ambitions to grow what we are doing in the rest of Africa. And our key target markets in East Africa are Kenya, Uganda and Tanzania and then Nigeria, which is a whole other can of fish, but we certainly can’t exclude it. How do you partner with the content providers? Most of the content is developed by the publishers. They have great content and they want to get it onto someone’s tablet or cell phone. We have the content from many publishers and we can provide one point to access. So we act as an aggregator for these publishers. [This is] international content and also local content even in local languages. We are sort of digital delivery trucks for the publishers. Is the market in Africa ready for eBooks or do you have to educate them first? I wouldn’t say much education [is needed], mobile phones are so common place now that majority of people are comfortable accessing content on their phones and PCs. The barrier is not there. Smartphones are growing and growing but they are not still the majority in the market. But -people are educated and hungry for it. It doesn’t take very long to get their heads around it. What about publishers who have previously resisted to going digital due to piracy risks and low revenues, have they warmed up to the idea of eBooks? I think that the market has changed a lot. [Some people] are concerned. [But] things are changing and I don’t really think publishers are upset about eBooks and piracy. They are scared [more] of the changes. [The] majority of publishers are unsettled but each year they become more and more comfortable as their understanding grows. On the whole, our experience is that two years ago we had to educate and build up trust for people to have a go at delivering their eBooks with us. Now we are more established; have more trust. And as the market is more trusting, they feel comfortable with eBooks as a whole. So they [publishers] are more willing to place their content with us. There are still concerns but publishers know they have to, at the very least, put their toe in the water of digital publishing, because it is not going away, it’s growing. We don’t have any sort of fights or intense discussions, they are quite happy to work with us. What are the main principles in establishing eLearning on the continent? There is a lot of focus on what gadgets to use. It’s not about what you do but how you approach it. Even if it is a tablet, print book or eBook, it doesn’t really matter. It needs to be about the depth and quality of execution. I think the key thing is not to dump these technologies on teachers. Teachers need to be comfortable with them first because they need to champion them. Most teachers have not been trained to teach with digital methods and we have [a lot of] teachers who are not engaging with these technologies. With our experience we see that because of this change, there is fear. Fear that it will not work, fear that they will not understand. If you conduct anything under that spirit it is doomed to fail. If you don’t get the buy-in of all the parties then they won’t understand how teaching with technology is going to be different. They need to learn from it and to step out of their comfort zone. Without that then the gadgets will be irrelevant. People want to take ten steps ahead. There is all this focus on interactivity and video learning and I really think that is important. But the fundamental thing is still the book - it is still important to encourage kids to read. Is digital media going to overtake traditional publishing? I think it will. It is easy to predict but “when” is more difficult. I don’ think it will happen overnight. Currently there are students who live with this hybrid space. We have some students who have books in print and others as digital [versions]. It is going to take time. As soon as access to information becomes cheaper we are going to see an increase in usage. And that has been the case of the internet really: as devices and handsets have gotten cheaper, data has become cheaper and more people have used the service. More people are on Facebook because it is economically accessible. And as eBooks become economically accessible and become cheaper, we will reach a tipping point level.